Finding the best foundation for your skin tone and type can be overwhelming, to say the least. With a plethora of options: full-coverage, matte, tinted (the list goes on), it's nearly impossible to know which formula to choose. And as for color-matching, don't even get us started on that doozy of a task. Since we are all too familiar with the trials and tribulations of finding a good foundation, let alone one that's reasonably priced, we thought we'd help you out by exposing our personal favorite foundations under $41. Here at Byrdie HQ, we've tried just about every foundation under the sun, and still, finding a quadruple-threat formula—right shade, coverage, finish, and price—is difficult. But nonetheless, after months, years even, of exploring the best foundations on the market, we have finally found our tried-and-trusted bases. For the under-$41 foundations our editors reach for time and time again, keep on reading. "My usual makeup look is all about skin, so I expect my foundation to do a lot of heavy lifting. It's one of those products that, in my opinion, is worth a splurge. Luckily, one of my favorites won't make quite as huge a dent in your budget. 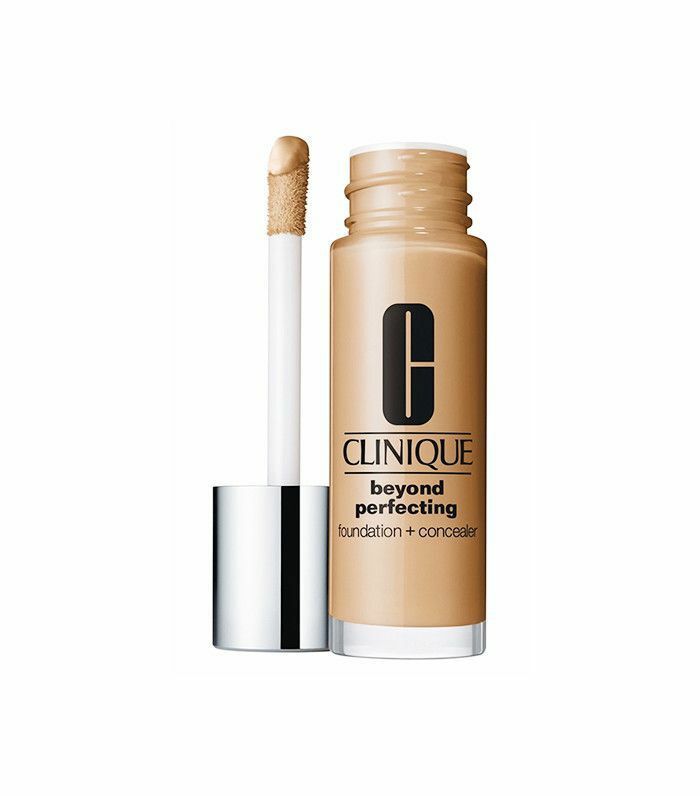 Clinique's Beyond Perfecting Foundation and Concealer ($28) is lightweight and moisturizing but full-coverage enough to camouflage any blemishes or redness that may pop up. Plus, it comes with a wand, so I can spot-conceal in a pinch." 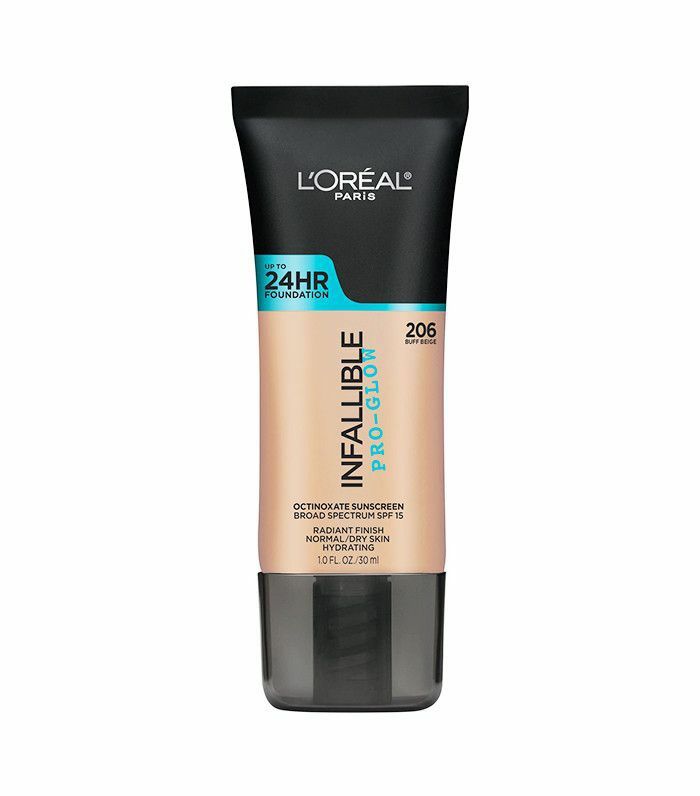 "I'm not much of a foundation wearer, but whenever I want a little more coverage for a special event, I'm as likely to reach for this new pick from L'Oréal as I am any top-shelf standby. 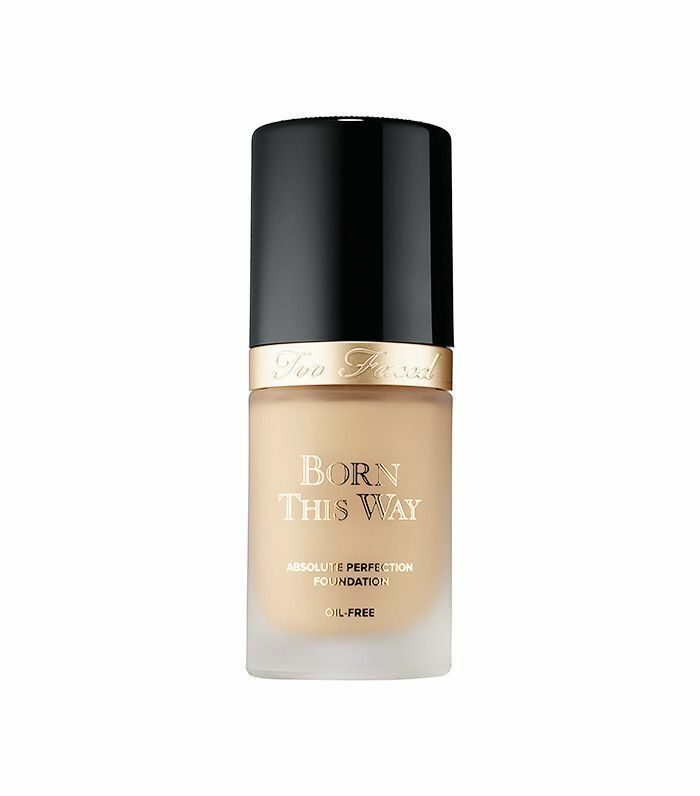 It simply has everything you want in a foundation: It blends easily, doesn't feel greasy or goopy, comes in a ton of shades, and a little goes a long way to give you a glowy, full-coverage complexion. If you don't believe me, it's also a makeup artist favorite. Sir John used it on Olivia Culpo at the Oscars this year, and celebrity makeup artist Robert Greene says the product 'offers 24-hour coverage with an all-day glow without looking heavy.'" "This was my foundation du jour for an entire year, which, in beauty editor terms, is a lifetime. What I'm trying to say is that it's really, really good and better than most of its more expensive counterparts. The formula is creamy and hydrating (it's infused with coconut water), and it blends beautifully whether you apply with your fingers or a damp Beautyblender. It's also buildable, so if you want a more full-coverage finish, you can layer without it looking cakey. Plus, it never left my oily skin looking greasy." 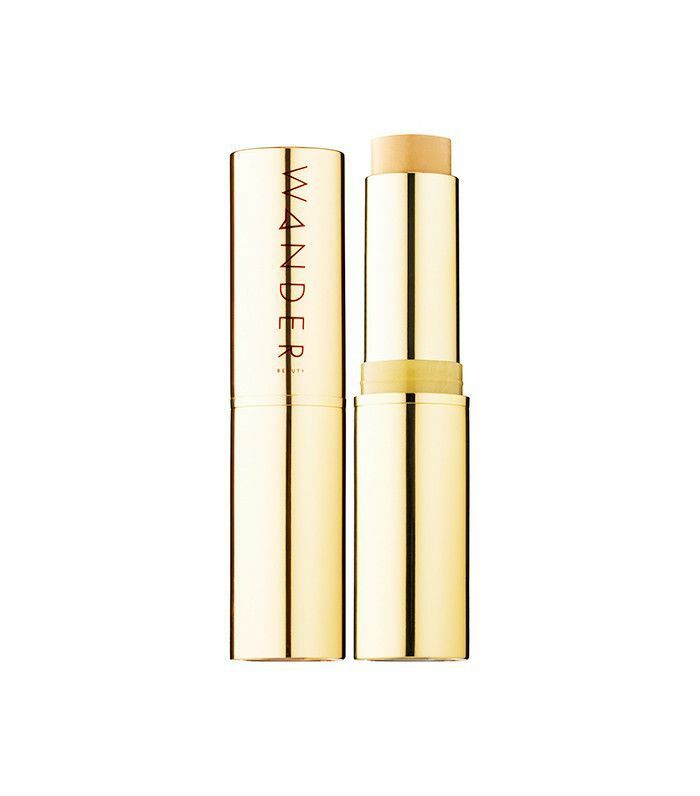 "Most foundation sticks end up creasing and caking just a few hours later or are difficult to blend—not true of this wonder from Wander Beauty. 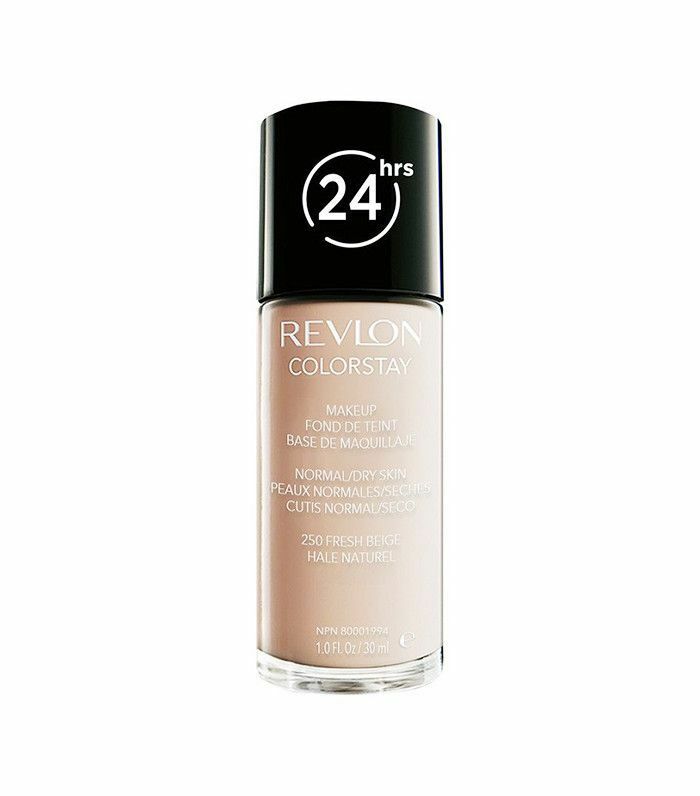 The formula glides on almost like a tinted moisturizer. You just swipe it across your forehead, down your nose, on your cheeks and chin, then all you have to do is blend it in. It makes you feel like you're actually hydrating your skin when you apply it. Plus, you can even use it as a concealer to spot-treat specific areas." "This is honestly the only foundation I've ever loved. Most are too matte or drying on my perpetually dehydrated skin, and this is the only one I've tried that doesn't feel cakey over the course of the day. I also love that it has SPF built in—a nonnegotiable in sunny L.A., and it's nice to not really have to think about it. "Best of all, it blends well with other products. 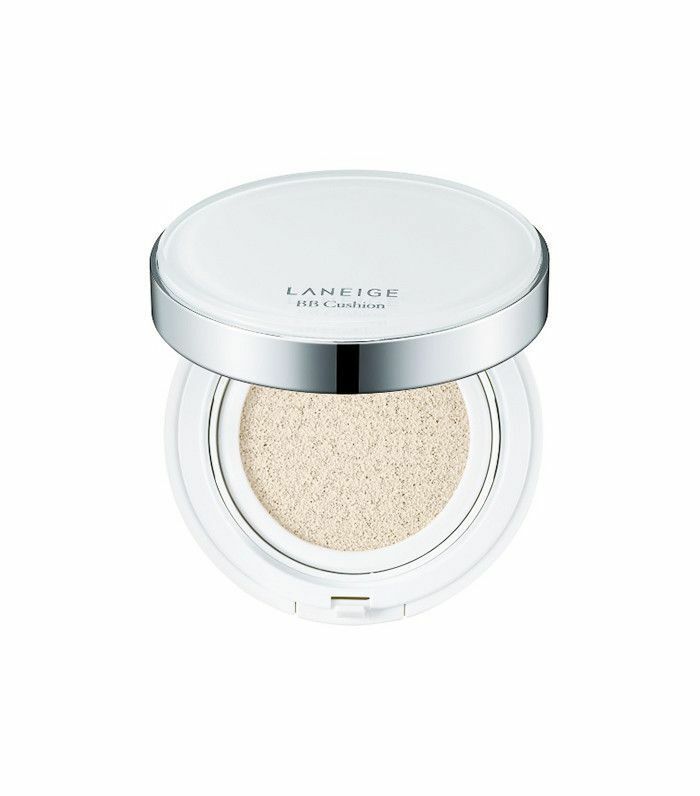 I don't like wearing a full face of foundation, so usually, I'll just add a couple drops of this cushion compact to a Beautyblender along with my daily moisturizer. It gives me the perfect amount of sheer coverage, and my skin stays dewy all day long. I can't say enough good things about it—I recommend it to everyone!" "I've talked about this foundation exhaustively, but I sing its praises because it's the only formula that truly works for my combination skin and actually stays put all day long. I've used it since high school (really), and although I've tested more prestigious brands and 'model-approved' picks, nothing works quite like my favorite drugstore option. It's so long-lasting, in fact, that I used to go an entire swim practice with it on, and it would still be intact. It's no joke." "I'm not a huge fan of foundation—I prefer to let my skin breath. However, in the off chance that I wake up with a breakout, I feel it necessary to have some sort of tint on hand. Cue Tarte's full-coverage base. Not only does this foundation have enough coverage to smooth over redness and blemishes, but thanks to its star ingredient, Amazonian clay, it also simultaneously helps my skin heal. And if I don't need the full coverage that this foundation offers, I just mix a bit of the formula in with my moisturizer for a sheer yet flawless finish." Next up: How to make your foundation look like it was done by a makeup artist.